For the movie business, 2014 cannot end fast enough. The obituaries have been run; the writing on the wall is already painted over; and Hollywood sits by the phone, anxiously waiting for 2015 to call and take her out already. The summer was bad enough — with the domestic box office down nearly 15 percent — then came the hard winter and the Sony hack. Sure, we all had a field day with Amy Pascal’s inbox, but when the threats came suddenly, a dire situation got a little too real too fast for Hollywood. Ironically, all that hyperbolic hoopla may have helped boost movie attendance in the last weekend of the year, but the last thing the industry needed was a terror threat at the box office even if it was emptier than a showing of Before I Go to Sleep. Yes, everything ended on a high note, with flag-waving Santas, The Hunger Games, and The Hobbit there for moral support, but when the report card came, there was no escaping it: 5 percent. 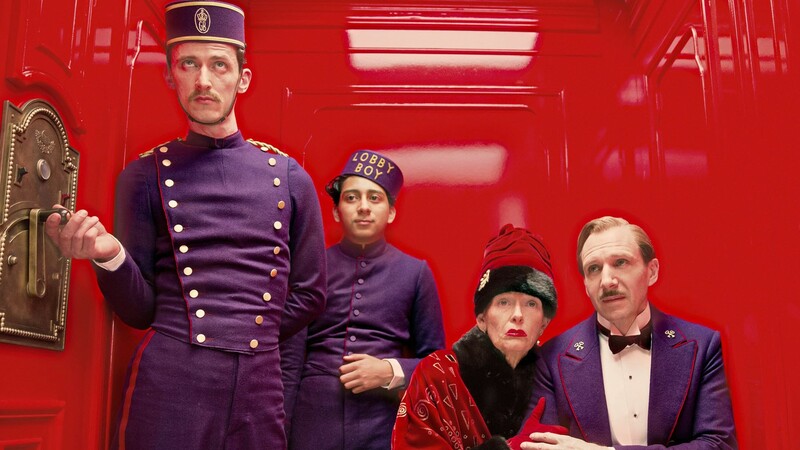 That’s how much Hollywood’s collective paycheck shrunk from 2013. For an industry that thrives on hype and self-promotion, having to acknowledge an actual non-inflation-adjusted downturn is a cruel glance in the mirror. Is that a fresh gray hair? Another set of wrinkles? But if you want to be absolutely ruthless to Hollywood, make it take a look at the raw numbers: 1,259,500,000 tickets sold in 2014. You have to go all the way back to 1993 to find fewer tickets sold. You remember 1993, right? That’s when you had to line up for hours during blockbuster season, IMAX was still for educational films, and you couldn’t get a reclining seat, let alone a beer, no matter how much you paid. The ultimate insult in Hollywood has always been Norma Desmond’s prophetic quip, “It’s the pictures that got small!” But these days it’s the small screen that scares studios the most. As Nielsen so helpfully pointed out, movie attendance among the digital generation dropped 15 percent in 2014. And that’s no blip on the radar: In 2008, 12- to 24-year-olds saw an average of 10.3 movies; in 2014 that average was down to 7.1. Considering that’s not just your core demographic but also the farm team of future customers, that’s a scary statistic. Is it any wonder the movie quote seems to be a dying pop culture artifact? Not surprisingly, theater owners are desperately grasping at the cheapest tricks in the book, gimmicks like shooting water in your face that make Smell-O-Vision seem quaint in comparison. This year at AMC you could see opera and Premier League soccer but not The Interview. And the studios, already long addicted to the highs of franchise abuse, have resorted to desperately mapping out five years in advance all the half-exhausted veins they hope to tap. Don’t worry, the pundits point out, 2015 will absolutely be better: It’s a mathematical certainty with Avengers: Age of Ultron, Star Wars VII, Jurassic World, Furious 7, etc. Indeed it is. But as Mark Harris eloquently inveighed, that mathematical certainty marks the passing of an era, with fear-based programming at last overtaking any attempt by studios to make original films instead of just branded entertainment. And as if that brave new world couldn’t come fast enough, Sony got pushed into it kicking and screaming with its scattershot day-and-date release of The Interview. Theater chains are fuming and everyone’s doing Sony’s math. Hmm, $15 million in digital downloads and $3 million in box office, against $44 million in budget and how much in marketing? What does that equal? For starters: the future. The bell has tolled and the industry will never be the same. That said, 2014 bears more than its fair share of lessons. We touched on quite a few of them at summer’s end, and they remain unchanged since much of the year’s fate is written in those high holy days of popcorn. But if anything, the hard fall and winter months have demonstrated how true these lessons are. May they be a beacon in our new post-Interview universe. We said it before, but given Big Hero 6’s success, it bears repeating: We all live in the Marvel-verse now. Marvel1 took a talking tree and an NRA-card-carrying raccoon that even the hardest of core barely knew about and turned Guardians of the Galaxy into the biggest domestic hit of the year. Start tabulating the box office of this year’s blockbusters derived from Marvel’s intellectual property (the aforementioned Guardians and Hero, X-Men, Spider-Man, Captain America) and you’ll rival the GDP of Somalia — and that’s not counting worldwide box office. 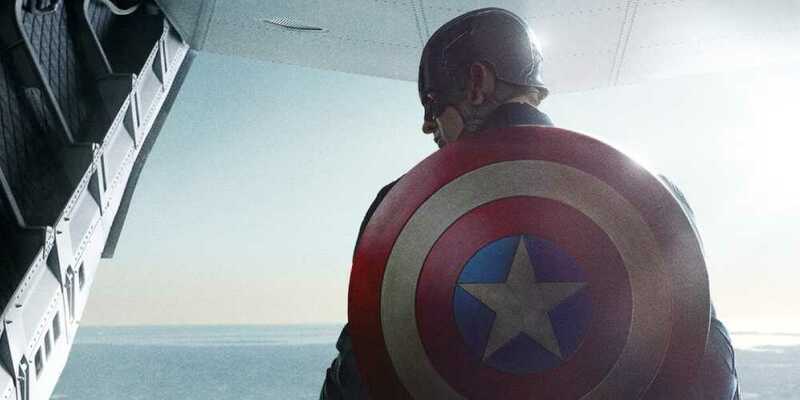 The success of Marvel-produced movies is now the major studios’ official measuring stick. If you don’t have your own [fill in the blank]-verse in Hollywood, you don’t get a seat at the big boys’ table. Obviously, Marvel didn’t patent the “-verse” concept — if anything, The Hobbit’s continued globe-conquering success proves J.R.R. Tolkien had that magic elfin formula down decades ago. But even Tolkien’s world has boundaries. Marvel’s is infinite, and a “-verse” is the new black when it comes to running a studio. In fact, the most embarrassing detail in the Sony leaks might not be the Obama jokes, the striking diversity gaps, or the A-list trash talk: It’s that Sony actually considered handing Spider-Man back to Marvel because it just couldn’t produce the same results. The scraps from Kevin Feige’s table were better than another botched attempt to bring in what should be — has to be — the most lucrative well. If you’re not a franchise, good luck finding financing these days. There’s a reason the studios stretched the plots of The Hobbit and The Hunger Games: Mockingjay across multiple installments so thinly you could see through them. I mean, that Chris Pine actually apologized for messing up Jack Ryan — a third-string franchise at best — demonstrates how existentially necessary anything that can be serialized is to the Hollywood equation. Studios need to squeeze every last dollar out of our pre-awareness to buy time for us to become aware of the next big thing, because Hollywood has forgotten how to build that awareness on its own. (It doesn’t help that our cultural attention is split across a sea of screens, streams, and YouTube windows.) You better have Megan Ellison on speed dial (and you better hope she doesn’t get bored of playing queen of the art house) if you want to make anything that’s not a preexisting property anymore, because the excess liquidity needed to fund the stand-alone, unbranded content once known as “film” dried up in 2014. Hopefully, as the world economy kicks into high gear, purse strings might loosen; but as Sony’s ad hoc release of The Interview demonstrated, the old ways are already all but extinct. In the top 10 films of 2014 worldwide, there’s all of one derived from an original concept: Christopher Nolan’s Interstellar. And even that took every ounce of Nolan’s considerable clout to get going. Everyone else has to adjust their expectations (and their budgets) to fit the digital download world, because while Seth Rogen and James Franco’s baby might be the first mainstream studio movie to experience it, it won’t be the last. Likewise, David Fincher’s brand nabbed its career best with Gone Girl, whose worldwide box office stands at $356 million with some spare change still to collect. Fincher not only manages to come off caddishly charming in the leaked Sony emails, he’s clearly Hollywood’s prom king what with Scott Rudin going all Mean Girls on Angie Jolie. And, of course, indie stalwart Richard Linklater found his own unique success with Boyhood — aside from the artistic triumphs of the film, it’s managed to gross $43 million worldwide, not bad for an avant-garde idea that he made on a shoestring over 12 years. Lastly, how could we forget Darren Aronofsky’s batshit eco-terrorist Noah: Among all the carping about biblical authenticity, you might not have noticed that it grossed $362 million worldwide. Even in the new Hollywood world order, Aronofsky’s fevered filmic lunacy will ride again. While they all live in The Hunger Games’s formidable shadow, young adult fiction has become the film industry’s Old Faithful when it comes to reliable profits: Divergent, The Maze Runner, and The Fault in Our Stars all proved noticeably bright exceptions to an otherwise underwhelming year. Even rare stumbles like The Giver scratched its way to a decent $67 million worldwide gross. But what makes these gems sparkle even more in studio execs’ eyes: They can be made on a reasonable budget. Even Mockingjay — Part I was cheaper to make than Exodus: Gods and Kings. All movie stars seem like they’re shrinking to white dwarf status these days, but ever since the summer, the brightness of the males in the Hollywood firmament has felt increasingly on the wane. Sure, Denzel Washington always manages to sparkle, but even Liam Neeson’s Non-Stop follow-up, A Walk Among the Tombstones, faded quickly away. Robert Downey Jr.’s The Judge couldn’t get any traction; the once invincible Adam Sandler empire took a hit both from Blended’s flop and the leaked grousing of Sony employees; and even the Rock’s charisma couldn’t save Hercules. Throw in Johnny Depp in Transcendence, Christian Bale in Exodus, and the entire cast of The Expendables 3, and you don’t have so much a trend as a new rule: You can’t cover up the smell of stale goods with a star’s charisma. Andrew Garfield couldn’t boost a tired Spidey franchise, and Seth MacFarlane found the million-and-first way to die in the West. But the most disheartening slide has to be Tom Cruise. 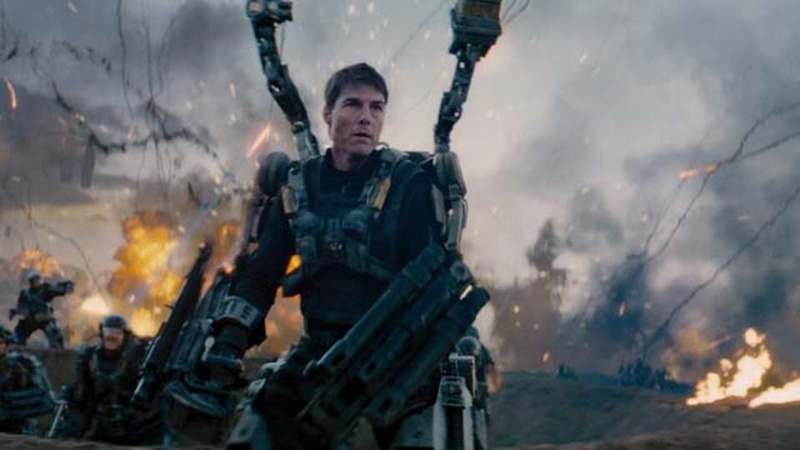 Edge of Tomorrow was vintage Cruise and an exception to a dull summer: fresh, innovative and fun. But even the great and powerful Tom couldn’t power a non-branded movie to a win, and that doesn’t so much mark a tectonic shift as punctuate the end of an era. Though Chris Pratt’s star has certainly been ascendant this year, you can’t really pin any of the year’s second-half successes on one man’s shoulders, even if Martin Freeman certainly kept The Hobbit human and Ben Affleck added a tang of verisimilitude to Gone Girl.2 Pratt might be among the last of a dying breed. That said, the ladies certainly picked up the slack this year: With The Hunger Games and X-Men under her belt, Jennifer Lawrence took the title for highest-grossing movie star, according to Forbes. Close behind her at no. 3 was none other than ScarJo, who may have benefited from the Marvel magic with Captain America: The Winter Soldier but certainly deserved credit for powering Lucy’s box office success. Further down the list come Emma Stone and Maleficent herself, Angelina Jolie, whose second stab at directing, Unbroken, also just took a hefty bite out of the Christmas box office. Even Gone Girl was as much the lesser-known Rosamund Pike’s movie as the Bat-fleck’s; and Annie would appear to have sailed through the headwinds of universal pans powered partially by little Quvenzhané Wallis’s nuclear smile. (Not to mention Cameron Diaz’s Miss Hannigan.) While Hollywood certainly has far to go before it even brushes up against gender parity, having four women in the top-10 highest grossers of the year certainly helps. Chickening out on showing The Interview only underscored how hard it is to be a theater chain these days. Take Regal Cinemas, the nation’s top exhibitor: In its first nine months, profits were down nearly 50 percent compared to a year ago. Theaters couldn’t afford even the remotest possibility that the Guardians of Peace weren’t just spouting off with their hollow threats. Yet at the same time, Sony’s experiment represents a massive mental crossing of the Rubicon — not for those who make and distribute movies so much as those of us who watch them. Yes, day-and-date distribution is far from new, but it’s always been seen as a little bit of an indie ghetto: a distant, slightly less awkward cousin to the old direct-to-video model and a way for the rest of America to sample New York and L.A.’s art house fare. But now we’ve had a taste of what it means to have a nice, big, fat studio film right at our sedentary fingertips. And honestly, it felt kind of good. Being able to stream a movie you’re not totally sold on is the difference between hustling yourself to a theater only to be disappointed and skipping it all together to surf Vine. We’ll go through the trouble of a night out for the event movies and the prestige pics, but it’s the mushy middle that this model fits best, and a segment of product that studios might suddenly embrace. Unfortunately, the ones left out in the cold are theater owners, specifically the big dinosaur multiplex chains that don’t offer you any added amenities and who clamor to book the same three wide releases playing at every other multiplex. How much excess movie theater capacity is out there these days? Pretty soon, we’ll find out. Let’s get all starry-eyed for a moment. While 2014 may have overall felt the icy grip of declining attendance on its throat, the notable winners all seemed to share one heartwarming trait: They were anything but common. Even though it benefited from its place in the Marvel heavens, Guardians of the Galaxy was a relatively unknown property when its trailer premiered. Far from the n-th reboot of a tired franchise, Guardians rode the crazy train all the way to the finish line. Likewise, Linklater’s stunning indie epic Boyhood defied all the usual Oscar formulas to become perhaps the Best Picture front-runner. It’s all the more remarkable when you realize it came out in July and has only the most modest of publicity budgets with which to play the awards game. But then again, how many other 12-years-in-the-making films like Linklater’s are out there? Even the first big hit of the year, The Lego Movie, gets some points for originality, if on the surface you could call it an extended toy commercial. And Birdman? Michael Keaton fist-fighting Edward Norton over a Raymond Carver Broadway adaptation is nothing if not something different. Hopefully amid all that slate planning, some sense of the need to take risks sinks in. Even if 2015 is as massive as everyone hopes (and it better be, for Hollywood’s sake), there is a theoretical exhaustion point. Somehow, even though it grossed $1 billion worldwide, Michael Bay’s fourth Transformers felt like a letdown: It “only” grossed $245 million here at home. That might sound odd, but not when you realize the massive bet-the-house sums poured into it. Transformers needed to gross $1 billion; just like Star Wars and so many other Franchise-verses need to. The first time a known franchise stumbles badly — and it will happen — Hollywood will know real existential crisis.3 After all, how many times can we get excited about the next event film before we burn out from a state of constantly stoked anticipation? As creatively nauseating as all the world-building can seem, there’s an even deeper concern: Is it really sustainable? Or can it be farmed to death? Might the constant attempt to hype the hype only hasten our indifference in the digital age when $20 seems too risky a bet on the next best thing when we can catch up on our DVR queue? We have only so much bandwidth, after all, and if every movie is a must-see event, then on some level none of them are. The only way to reverse that trend runs counter to every fear instinct governing Hollywood these days: Make something new, something different, something better. Give us something we haven’t seen before, that we can’t find on YouTube or binge on Netflix, and who knows? If you’re lucky, maybe you can make the five sequels for it and we’ll keep paying to see them. Marvel and Grantland are owned by Disney. Again, Denzel being the Eternal Exception. If so, execs can at least take heart in Universal Studios’s accidental blockbuster-free season. As Forbes points out, Universal went tentpole-free and not only did it live to tell the tale, it actually made a tidy profit. In some sense, it wouldn’t be bad thing if the pictures got a little smaller: Maybe then they might even get more human.